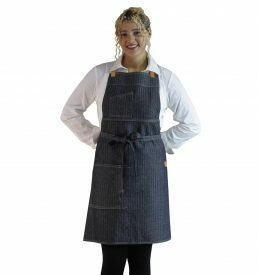 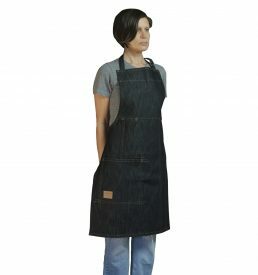 Made of high-end, easy-care, 100% railroad-striped cotton denim, this bib-front apron features fashion detailing including vents, rivets, and over-stitched seams. 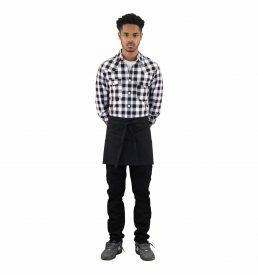 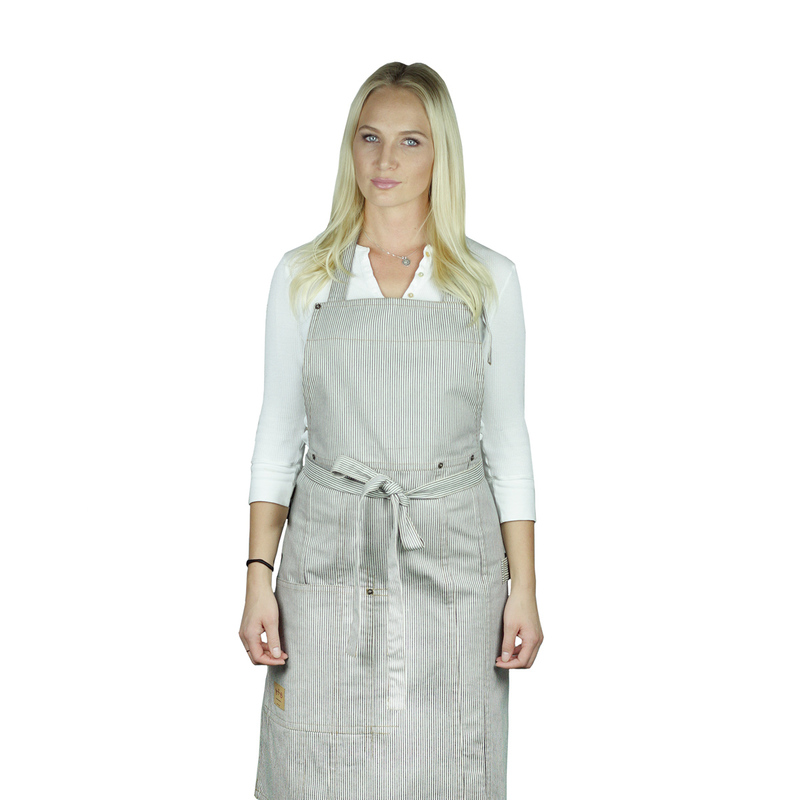 The durable apron is well-suited to culinary professionals, from chefs to bartenders, and wait staff. 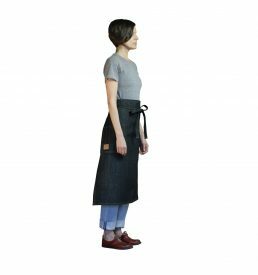 Extra-long ties make for a comfortable, adjustable fit every time, while the oversized patch pocket is ideal for an iPad mini, order book, or other tools of the trade. 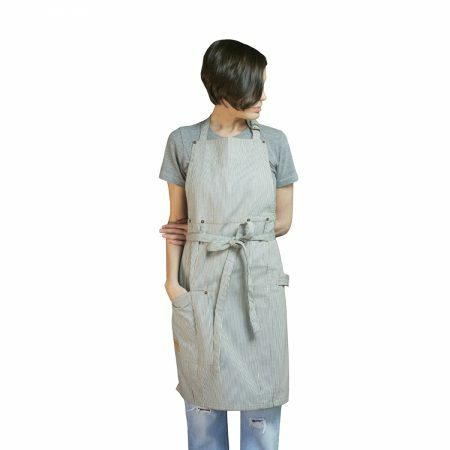 Also included are a smaller pocket at the waist, and a towel loop.